Buwaneka Gunatilleka and Thilini Hendahewa emerged open men’s and women’s singles champions at the inaugural Defenders Open Badminton championships which concluded at the Army Indoor Stadium Panagoda on Tuesday. 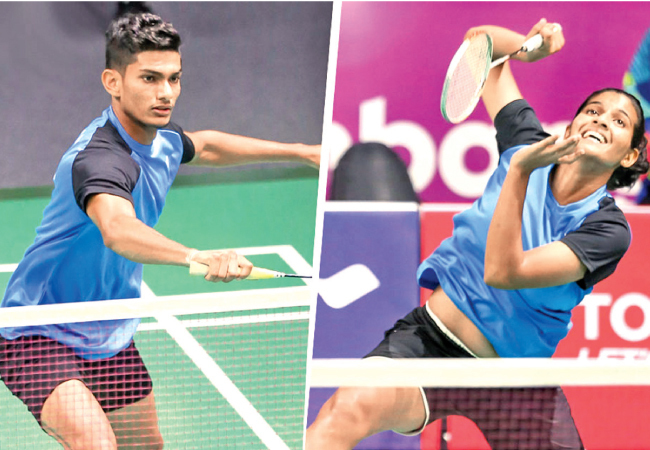 Buwaneka completed the double by winning the men’s singles and doubles partnered by Sachin Dias but missed the triple crown losing the mixed doubles final. Buwaneka who upset Dinuka Karunaratna in the semifinals earlier won in straight sets 21/14, 21/13 over Hasitha Chanaka in the men’s final. In the women’s open singles final young Dilmi Dias fought hard against Thilini Hendahewa to win the first set 22/20. But Thilini made a good come back winning the second set 26/24. Thilini outclassed her opponent to win the third and final set 21/9. In the men’s doubles, Buwaneka partnered by Sachin Dias scored an easy two sets win over Omal Dharmawardana and Ravidu Ranatunga 21/8, 21/9. However, Achini Ratnasiri and Upuli Samanthika defeated Thilini Hendahewa and Kavidi Sirimannage 21/18, 21/12 to win the women’s doubles title. The mixed doubles final was won by Sachin Dias and Thilini Hendahewa who defeated Buwanaka Gunatilleka and Kavidi Sirimannage in straight sets 21/12, 21/8. This inaugural Defenders tournament was successfully conducted by the Army Badminton committee together with the Sri Lanka Badminton Association at the newly built Army Badminton courts. Army Commander Lieutenant General Mahesh Senanayake was the Chief Guest. SLBA Interim President Nishantha Jayasinghe and Chairman of the Army Badminton Committee Brigadier D.T. Gamage also graced this occasion.